In the wretched and sprawling internment camps for Rohingya Muslims strung along the cyclone-battered Bay of Bengal, Burma’s unpredictable experiment in democracy next month is already a non-event. There are no rallies, no posters, not even any candidates, for landmark elections as the minority Muslim community here has been wiped from the voting lists by official decree under controversial citizenship rules. The Rohingya may not be able to cast a ballot on November 8, but they are still at the centre of an election campaign increasingly tainted by anti-Muslim sentiment fuelled by Buddhist nationalist politicians and radical monks. 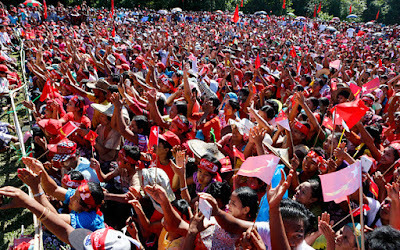 Aung San Suu Kyi, the opposition leader who has been drawing huge crowds at rallies across the country, also kept her distance from the camps in her first campaign foray into Rakhine state - the scene of sectarian bloodletting between Buddhists and Muslims. The Nobel laureate has been criticised on the international stage for her failure to speak out about the desperate plight of the Rohingya, largely confined to internment camps since the 2012 violence. But inside Burma, also known as Myanmar, she has been attacked by Buddhist hardliners for being too sympathetic to the Muslim minority. And in Rakhine, she made her clearest call yet for an end to religious hatred and discrimination. 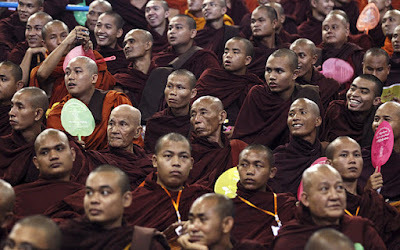 “It is very important that all people regardless of religion living in our country must be safe,” Ms Suu Kyi declared. She also gave short shrift to a Buddhist constituent who asked her about rumours that the NLD would oversee a “takeover” of the country by Muslims, who form about five per cent of the population. Rohingya leaders insist that they have roots in Burma dating back centuries, but the country’s government has long viewed them as illegal Muslim interlopers from neighbouring Bangladesh. 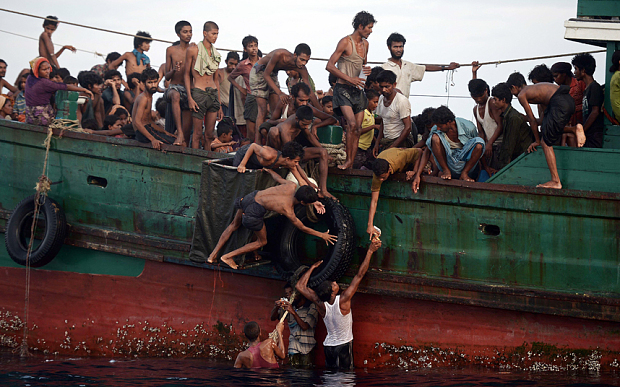 The Burmese do not even accept the name Rohingya, instead calling them “Bengalis”. Their plight as a stateless unwanted people was already pitiful. But in the former British colony’s venture towards a new, democratic era after five decades of military dictatorship, they are losers before any votes are even cast. 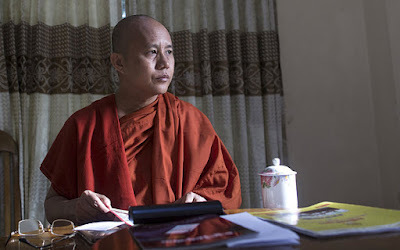 Buddhism has a reputation as a religion of peace and tolerance, but a new breed of firebrand Burmese monk has exerted its political clout by stoking the anti-Islamic feeling during the campaign. 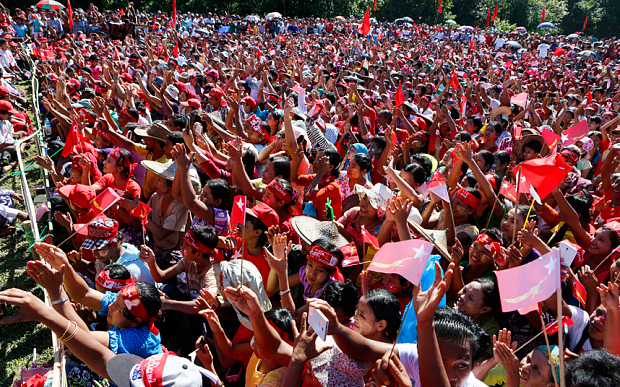 It is precisely this kind of sectarian feeling that Burma’s military-backed ruling party has now sought to harness in its bid to fend off the challenge of Ms Suu Kyi’s NLD and cling to power. As part of that effort, Thein Sein, the general-turned-president, this year supervised the whole-scale disenfranchisement of Rohingyas – a people allowed to vote in previous elections under the military – after the confiscation of their identity cards. It might have been expected that Ms Suu Kyi, who spent 15 years under house arrest for her advocacy of free speech, would have publicly defended the oppressed minority. But she is now a politician seeking victory in an electorate where there are few votes in speaking out for the Rohingya. So she has taken a political calculation to say little about their fate, for now at least. 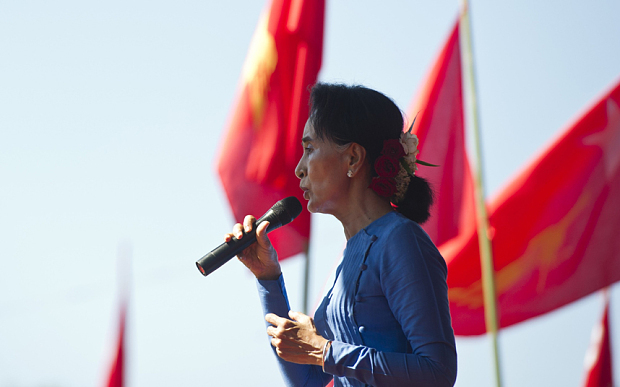 Indeed, in Burma her party is still assailed for being “weak on Islam” after it opposed four new “race and religion” laws that were championed by Buddhist clerics and are widely seen as discriminating against Muslims and women. 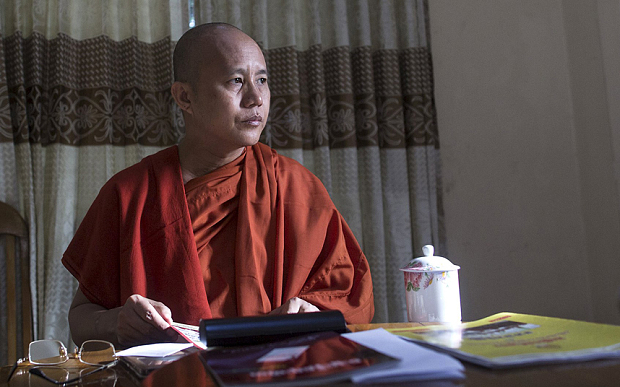 The intimidating stance of the radical Buddhist Organisation for Protection of Nationality and Religion (Ma Ba Tha) has already exercised its toll on the choice of candidates by the NLD. Win Htein, a senior MP, has acknowledged "political reasons" forced Ms Suu Kyi’s party not to name a single Muslim candidate for election. And even Muslim candidates who tried to run for other parties were disqualified by the state because they could not prove their parents were eligible to be Burmese citizens at the time of their birth. “It’s racism and religious discrimination, straight and simple,” said Kyaw Min, leader of the Democracy and Human Rights Party, a mainly Rohingya political grouping, who was among dozens of disqualified Muslim election candidates. But Rohingya leaders said that they understood the political pressures that have shaped Ms Suu Kyi’s decision not to talk about their suffering or name Muslim candidates, even while she is assailed internationally for her stance.